David Yurman necklace from the Novella Collection. Polished 18-karat white gold chain and hardware. Five white diamond bezel-set stations. David Yurman pendant necklace from the Solari Collection. Polished sterling silver and 18-karat yellow gold hardware. Integrated round yellow gold bead pendant. Rounded white diamond pavé accents. 0.03 total diamond carat weight. Adjustable; lobster clasp. Approx. 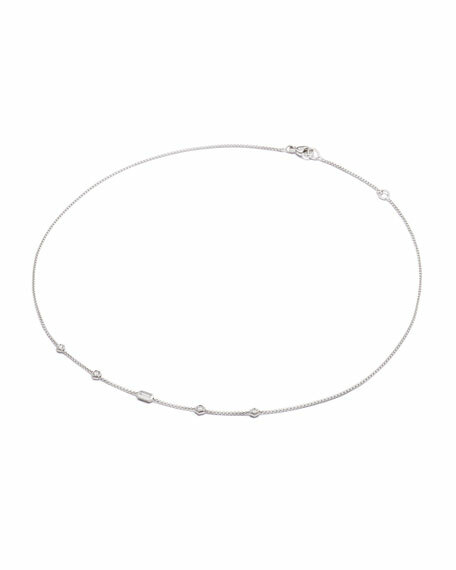 17"L.
David Yurman necklace from the Continuance® Collection. Polished sterling silver in smooth and cable-textured links. Single white diamond pavé link at center. 0.74 total diamond carat weight. Approx. 20"L. Imported. David Yurman necklace from the Crossover Collection®. Sterling silver box chain. Cross pendant with pavé diamond wrap. 0.13 total diamond carat weight. Pendant, 1.1"L x 0.7"W (29mm x 18mm). Chain, approx. 17"L x 0.1"W. Lobster clasp. Imported. 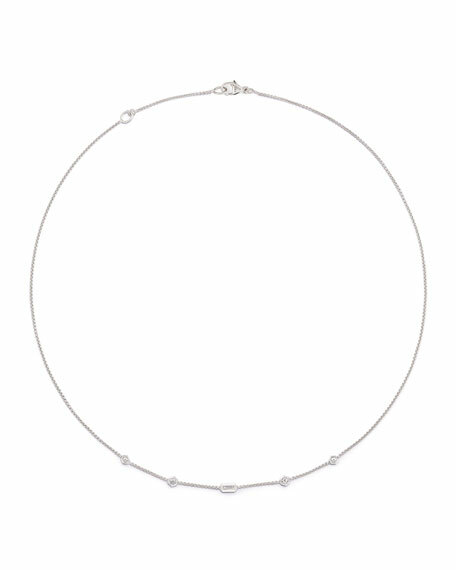 Madison large link necklace by David Yurman. Sterling silver polished and cable-motif links. One 18-karat yellow gold link at center front. 18"L x 0.5"W (13.5mm). Integrated cable-push clasp.